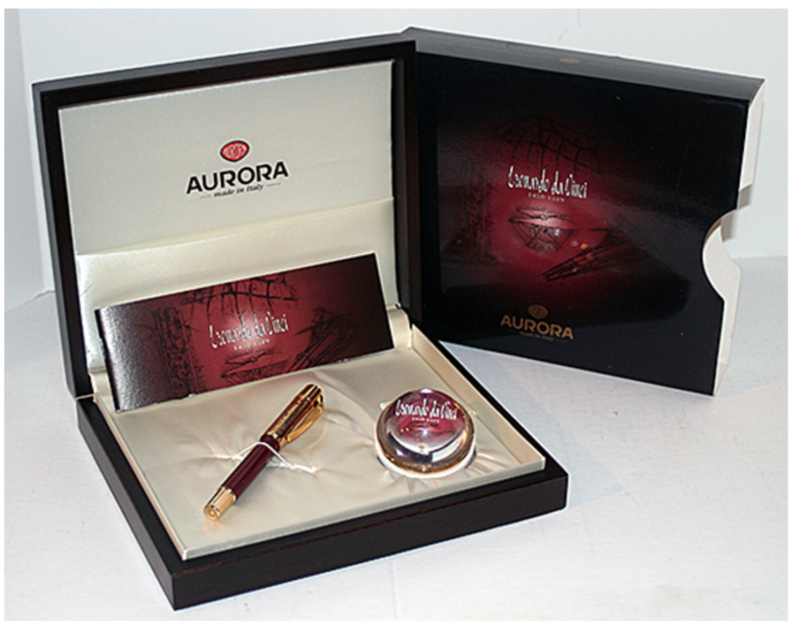 This fountain pen is a 2002 Aurora Leonardo daVinci Limited Edition – numbered #0470/1919. The pen is a lever-filler in Bordeaux resin with a gold-plated cap, featuring lacquer filled engravings drawn from the Maestro’s codex on the flight of birds. The filling lever is accessed by unscrewing and removing the barrel. Tapered, 18K, fine nib. New-old-stock. Mint in original box with paper weight and outer sleeve. 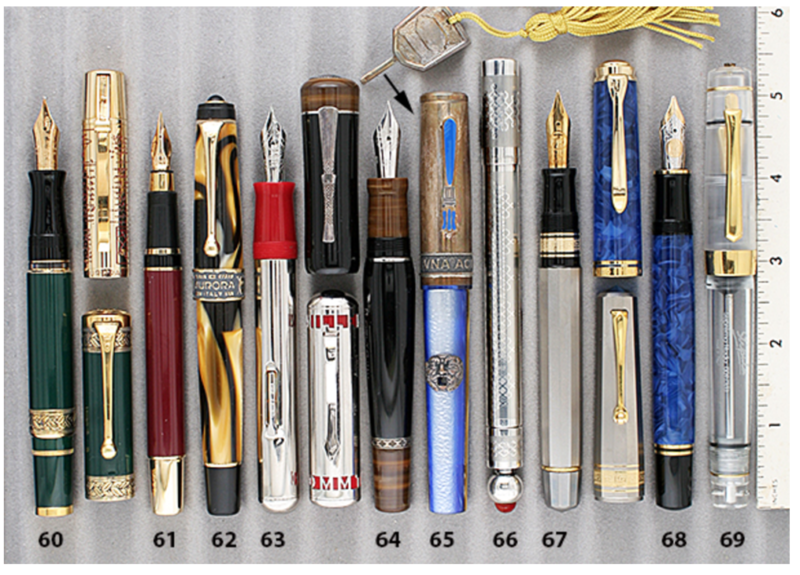 This entry was posted in Modern Pens and tagged Aurora, Catalog, Catalogs, Extraordinary Pens, Fountain Pens, Go Pens, GoPens, Limited Edition, Vintage Fountain Pen, Vintage Fountain Pens, Vintage Pen, Vintage Pens. Bookmark the permalink. Follow any comments here with the RSS feed for this post. Post a comment or leave a trackback: Trackback URL.